What is The Deposit Scheme & Why do You Need it? 3. Tenancy Deposit Scheme (more commonly known as the TDS). The deposit must be protected even if paid by a third party (e.g. rent deposit scheme or parents). 3. Paid all rent and bills due against the property for the time period covered by the tenancy agreement. This protects the tenant from unfair charges, and protects the landlord against threatening tenants as there is now a strict procedure for what is deemed fair and what is not. The landlord is required to protect the deposit within 30 days of receiving it and must then provide the tenant with prescribed information detailing the information regarding the deposit. At the end of the tenancy the landlord must return the deposit within 10 days of agreeing how much is to be returned. If there is a dispute between the landlord and the tenant, the deposit will continue to be protected by the scheme until an agreement has been made. If an agreement cannot be made between the landlord and the tenant then the dispute will either be settled by the deposit scheme dispute panel/arbitrator, or taken to court to settle (further details on this will be explained in the prescribed information and also detailed briefly below). To prevent any confusion, a "holding deposit" or "holding fee" to take the property off the market whilst undergoing credit checks does not constitute a deposit that needs to be protected. Protection is only required once a tenancy agreement has become binding and the person(s) become(s) a tenant. 2. Pay the deposit in to a custodial scheme's bank account within 14 days. The court may also order the landlord to pay you up to three times the value of the deposit within 14 days of making the order as a penalty for not protecting your deposit. The court, at the end of the tenancy, could decide that you will not have to leave the property when the tenancy ends if your landlord has not used one of the backed schemes when they should have. If there is a dispute over the amount to be returned then each deposit scheme offers a free dispute resolution service. You do not have to use this service, but if you do, both parties will be required to submit evidence and the decision made by the resolution service will be final. If you are unable to contact the landlord in order to request your deposit back then you can raise a dispute with the deposit scheme (further details on this can be found on their respective websites) and if the scheme agrees, they will issue you with your deposit. Please note that there may be a limit on the amount of time you have to raise a dispute and you should check this with the deposit scheme as soon as possible. 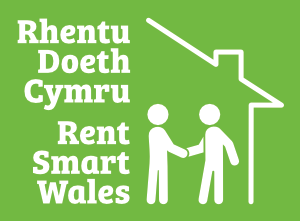 If you need any further advice then you should contact your local Citizens Advice office, a solicitor or advice agency or you can contact Shelter in Wales. PB Property use the Deposit Protection Service (DPS) where we protect the deposit on behalf of the landlord. This would be the case where PB Property manages the tenancy on behalf of the landlord or where a “Let Only” landlord instructs us to protect the deposit for them. Unless PB Property receives instruction from a “Let Only” landlord, we pass the deposit to that landlord as they are responsible for protecting the deposit and providing the information mention above.